Vehicles have been used for decades for transporting people and things. People use their vehicles, whether it’s a car, motorcycle, truck or other, almost every day. Whatever type of vehicle you have, you normally want your vehicle to look good in terms of appearance. We have a simple and cool way to achieve that and that are quality vinyl stickers for cars. It is the best way to make your vehicle stand out in a crowd and give it some personality. In order to find the best company for getting quality vinyl sticker decals for cars, you can visit Original People. 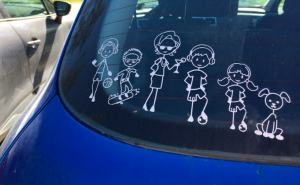 We are one of the most credible and well-known online service providers, who specializes in offering fun and uniquely designed car stickers that can be placed on any type of vehicle, e.g. boats, cars, caravans and trucks. Our products are designed with high-end materials and advanced technology and will last for ages.